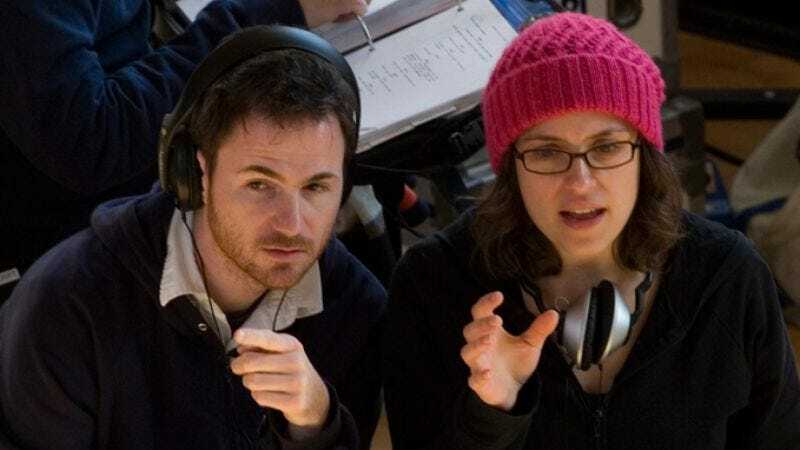 While finishing up the graduate film program at New York University’s Tisch School Of The Arts, Ryan Fleck met Anna Boden on the set a student film she was directing, and the two wound up dating and later collaborating after turning in their respective projects. On the strength of a few shorts—most notably “Gowanus, Brooklyn,” which won a prize at the 2004 Sundance Film Festival—Fleck and Boden secured financing for their 2006 debut feature Half Nelson, starring Ryan Gosling as a drug-addicted inner-city school teacher and Shareeka Epps (whom they had discovered while casting “Gowanus”) as a student who befriends him and keeps his habit secret. The film was met with widespread acclaim and earned Gosling an Oscar nomination. Fleck and Boden’s equally heralded 2008 follow-up Sugar defied the conventions of both sports movies and fish-out-of-water movies in tracking a 19-year-old Dominican pitching prospect who comes to the United States to play minor-league ball. Based on Ned Vizzini’s semi-autobiographical young-adult novel, Fleck and Boden’s latest effort, It’s Kind Of A Funny Story, breaks from the seriousness of their first two movies to find the humor in a teenager’s misadventures in a hospital psychiatric ward. Keir Gilchrist stars as Craig, a suicidal 15-year-old who comes to the hospital expecting a quick fix, but discovers that he’s required to stay in the ward for a minimum of five days before he can be reevaluated. Once there, he develops a rapport with several of the other patients, most notably the gentle-humored but clinically depressed Bobby, played by Zach Galifianakis, and Noelle, a cute, like-aged “cutter” played by Emma Roberts. Fleck and Boden talked to The A.V. Club about the John Hughes tradition, finding the right balance between comedy and drama, their evolving relationship, and the movies that changed their lives. The A.V. Club: Half Nelson and Sugar both took the form of familiar genre movies—the inspirational teacher movie and the underdog sports movie, respectively—but they both dodged a lot of clichés that are associated with those types of films. Were there clichés here that you were trying to dodge as well? Ryan Fleck: Embrace, but not in a bad way. In a love for the genre and the John Hughes tradition. We wanted to take a story about these teenagers and try to treat them with dignity and respect and not belittle their problems and not look back through the cynical adult filter that might be easy to do. But avoiding clichés? We didn’t set out to avoid clichés so much as just have fun with the story. AB: If there’s anything we were trying to avoid in the contemporary teen-movie model, it was that detached irony or cynicism that I feel like I’ve seen in a lot of contemporary teen movies. And which works great in a lot of them. But that was not the kind of tone that we wanted for this movie. AVC: You mentioned John Hughes. So you were looking more at teen comedies than other films set in psych wards? RF: We wanted to play up the humor, but in that John Hughes, Breakfast Club tradition. I don’t know when the last time you’ve seen that movie is, but it’s a very serious movie. It’s not a comedy. There are funny moments in it; it has a lightness of touch and it’s very entertaining, and there’s a musical number, and it feels like a really fun movie. But there’s really serious, pretty heavy stuff going on in there that you don’t remember. You don’t think of it as a teen drama when you’re looking back on it. AVC: Your film attempts a very tricky mix of comedy and drama. Tricky because there’s a lot of eccentric behavior that’s played for laughs, but you also have to see these people as patients with serious problems. How hard was it to strike that balance? RF: Not too hard because we had the book as a guide, and [Vizzini] balanced that so wonderfully. It’s a semi-autobiographical account of the time that he spent depressed in a hospital in Brooklyn, and he balances those characters really, really well in the book. And using that as a guide really helped us with that. Also, the casting. We made sure that in casting, not just of the lead actors, but with the extras, the people you see in the hospital throughout the movie. It was important enough to us that we met individually with each one of those patients and made sure that they knew what kind of movie we were making, and that they were not going to be playing off-the-wall, distracting lunatics. For the most part, based the research we’d done at a New York City psychiatric hospital, people are pretty mellow. And so we just wanted to make sure that they got that. AB: And in terms of the tone, we understand that people who either work in situations like that or exist in situations like that, even at their most serious, tend to try to find comedy and humor and lightness in their everyday life. And as we talked to social workers or people who had been inside places like that, we felt it was important to keep that, and it was an important part of the book and something that really drew us into it. I guess we had to trust that we weren’t going too far or that our actors weren’t going to go too far to the point of being disrespectful. AVC: What kind of relationship did you have with the author? Where does that collaboration end and then you have to take over? RF: Ned was hugely supportive of us in our process from the very beginning. It was something that we were a little nervous about because we hadn’t adapted anything before, especially someone’s story that they had partly experienced. So we were nervous, but he said, “Hey, I understand you guys make movies. I write books. And I did my book and it’s there on the shelf and no one’s ever going to change that. That book exists and it will be there forever. Go make your movie.” And he allowed us to make it personal, make the necessary changes that we had to make to make it more cinematic, and he was not involved in the screenwriting at all. But he was there as a guide, if we ever had questions about his experience, about what it was like in the hospital. He was there to answer those questions. And we showed him the movie and he loved it and he’s been very supportive. I think what he gets and I think what fans of the book will get was that the spirit of his book is alive in this movie, whether scene for scene it’s in there or not. AVC: What did you feel like the film needed specifically that might have been different from the book? If there are changes there, where do they exist? AB: I think the focus on the central relationship between Craig and Bobby was really important. The book already had the important relationship between him and Noelle, but there were so many relationships that the book explored in depth—from the friends outside the ward to the parents to dozens of patients—that we really decided early on that we just didn’t have the time to get in depth with all of those relationships and we focused in on this one character and kind of combined a bunch of different characters in the ward to create Bobby. AVC: How has your working relationship evolved since you started working together? The credits have changed to include, say, Anna as director, but does that reflect a real shift? RF: On Half Nelson, I was credited as the director, we both co-wrote it and Anna was the producer. We didn’t know too many directing teams working at the time except the Coen brothers and that seemed to be the model, and people always know that they’re a team, whether the credit reflected that or not. Not until No Country For Old Men did they actually share the directing credit. But because we worked so closely on that movie, it just seemed silly for me to get all the directing credit at that point. We also weren’t that familiar with how this process worked. And once you make a movie, most festivals, they invite the director and really no one else, and it just seemed like a bizarre way to handle this process, since we worked so closely together. AB: But I think I’ve also learned more. I don’t think I knew that much about camera placement and working with actors when we did Half Nelson. We always talked with each other before, but Ryan dealt with the actors and ultimately with shot listing and stuff. We shared things, but I think you definitely did more of that on Half Nelson, and it’s something that I learned about over the course of making that movie. And then into Sugar, where I spoke Spanish and he didn’t really. And so it was clear that I would be the one who would mostly be talking with the actors on that one. And so that’s when we started co-directing. AVC: Ryan, you wrote about Do The Right Thing, and how it was the movie that changed your life. Anna, what about you? Is there a touchstone film that led you on this path? AB: I don’t think that there is one specifically, but I remember something that I saw when I was young that made me think about actual filmmaking, instead of just liking to watch movies. I took a class my freshman year in high school called Intro To Film, and I was introduced to Robert Altman’s films, and I wrote my first paper on a filmmaker and it was Altman’s M*A*S*H, and Nashville and I think Short Cuts or The Player, I don’t remember. But it was the first time I thought of a collection of movies and thought of choices an individual was making in order to come up with those films. So that was probably the first time my brain started working in that way. AVC: So is that where your education started, film wise? AB: Yeah, besides just watching lots of movies when I was younger. And my parents loved movies. So they used to take me to a lot of good films, even when I was a kid and couldn’t appreciate it. AVC: What about you, Ryan? What are the touchstones for you beyond Do The Right Thing? RF: There are so many influences, but when in high school, there was a theater in Berkeley called the UC Theatre, which is not there anymore. They’d have a three-month calendar that came out, and they would program a different double feature every day of just the most wild, fun movies. I just remember going to Stranger Than Paradise and Slacker, and things like a Kubrick retrospective, or all these really fun arthouse movies. And then they’d have a Brazil and Blade Runner double feature, which was just super awesome. AVC: A.O. Scott wrote a piece about identifying a trend of “neo-neo-realist” films emerging within American independent movies and Half Nelson was one of them. This film maybe falls out of that tradition a bit, but did you agree with his thesis? Do you see independent films evolving in a direction that maybe they weren’t at before?